Mardan School serves grades K through 12th grade. 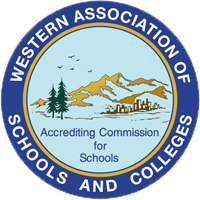 We are accredited by the Western Association of Schools and Colleges (WASC) and certified by the state of California as a non-public school (NPS). Mardan classroom teachers hold the California Education Specialist credential, and many also hold other teaching credentials, including Multiple Subject and Single Subject credentials. Our curriculum is based upon California State Essential Standards, with remediation and enrichments provided as needed. All grade levels are supported within our general philosophy and approach, but with slightly different emphases and structure.